Overall dimensions (l x w x h) are 35 x 16 x 22"
Designed originally as a bath seat, the chaise can be used almost anywhere. 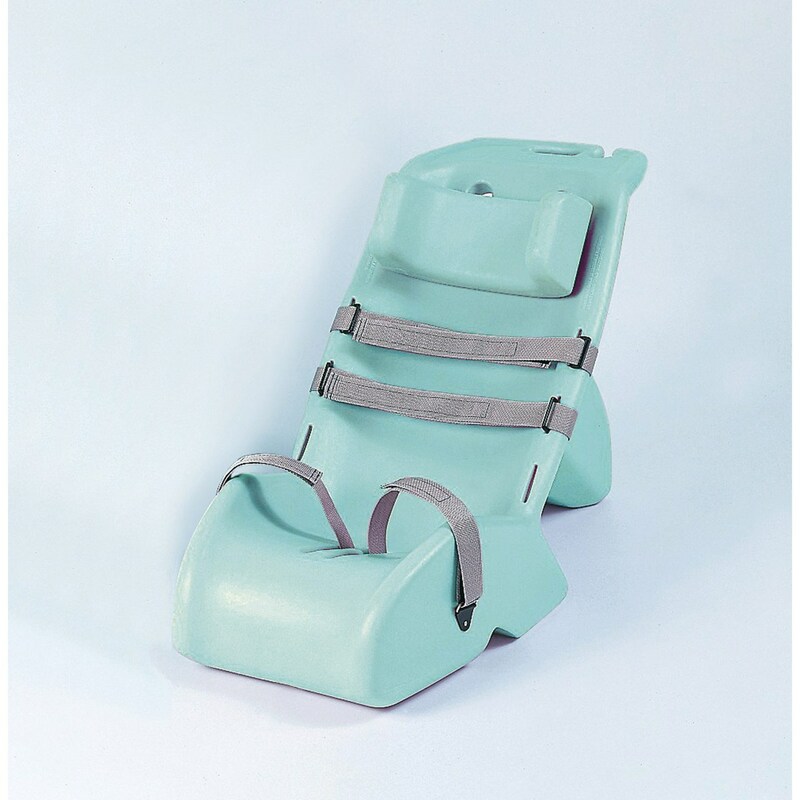 It features 2 adjustable torso straps with hook-and-loop closures that are simple to use and can be repositioned along with the headrest to accommodate different sized children. 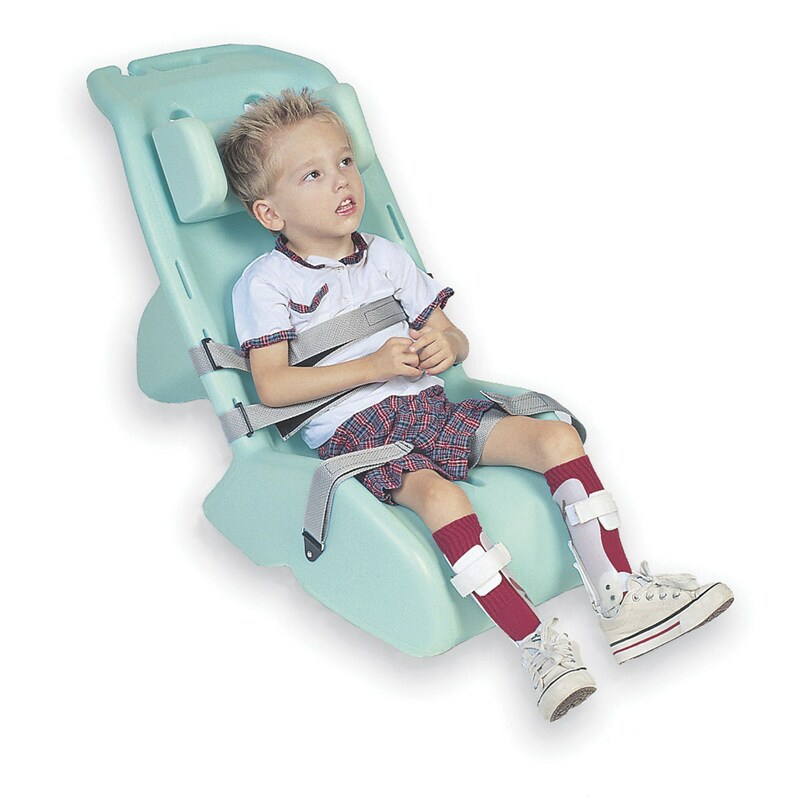 Thigh straps prevent the child from slipping and provide added safety in the bath. A carrying handle, handheld shower holder and a soap rest are all molded in to help the caregiver. Cleans easily with mild household cleaners. Supports up to 200 lb. (91 kg). Inside width of the seat is 12" (30 cm). Overall dimensions (l x w x h) are 35 x 16 x 22" (89 x 41 x 56 cm). Weighs less than 12 lb. (5.4 kg).